The Mondulkiri Project supports a growing community. We currently have six elephants living full time in our sanctuary away from elephant rides and hard physical work. Our community also includes residents of the Putang and Oriang Bunong hill tribe villages. They are employed as mahouts or jungle guides at the Mondulkiri Project. The Mondulkiri Project’s protected forest is not only home to our elephant sanctuary but also contains many important trees and plants used to make income and food for the local Bunong people. 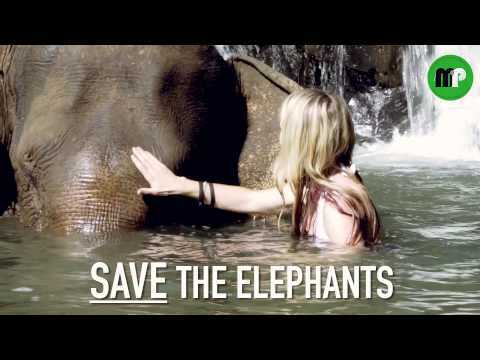 The Mondulkiri Project is managed by the Cambodia Elephant Rescue Organization, a registered Cambodian ngo. Princess the elephant loves to be treated like a princess. She is around 45 years old. She weights approximately 2.5 tonnes. She is best friends with Comvine. She was bought by the sanctuary in 2017. She is such a PRINCESS!!! You need to put the bananas right into her mouth to feed her. Before she joined our sanctuary Princess worked carrying tourists at Putang VIllage. She had a heavy wooden plank strapped to her back which the tourists sat on for these rides. Lucky the elephant was about to move to Siem Reap for tourist rides around Angkor Wat but we convinced her owners she would be happier at our sanctuary. She used to work for the logging industry and to help carry heavy farming goods. She is around 70 years old from a village near Bou Sraa Waterfall. She weighs about 3.5 tonnes. Comvine the elephant was born at Ka Tien waterfall in Ratanakiri province. She had spent all her life being used for tourist rides at the waterfall. Siem Reap tourist rides bought her mother but this time we bought Comvine before they could. She is a very beautiful elephant approximately 30 years old. She is best friends with Princess. Sophie was the first elephant at our sanctuary. She is around 55 years old. She is owned by 9 families. Sophie loves to eat anything and everything. She really likes being fed bananas. She likes to wash herself at one of our large waterfalls. Before she joined our sanctuary Sophie worked in logging. Happy is the newest arrival at our elephant sanctuary. She is a young elephant, around 35 years old. She is not very big, only around 2.7 tonnes. She is a bit shy but is slowly making friends with Princess and Sophie. Happy's owner moved her to our sanctuary because there is lots of food and water here and because we treat our mahouts well. Kwert has three sons and two daughters. His wife is a farmer. Kwert is from Oriang Village. He enjoys watching elephants and caring for them. He likes that Sophie eats a lot and is bigger than the other elephants. He also is happy that Sophie is a slow walking elephant. Loyin is the mahout for Lucky. He is from Putang Village. He lives at the Mondulkiri Project with his wife and daughter who together help us manage the Jungle Lodge. Pukpey is the mahout for Combine. He is from the Oriang Village. He has three children. His job as a mahout allows him to send them to school in Phnom Penh. Duong is one of our Jungle Guides. He is from Putang Village. He is 23 years old and has two brothers that study in Phnom Penh. His sister looks after her son and daughter. Duong enjoys trekking in the jungle to see waterfalls. He also likes to show tourists monkeys and the footprints of sun bears. Lar is one of our Jungle Guides. He is 25 years old and was born in Dak Dam Village. He is married and has a 1 year old daughter. His favourite thing about being a guide is being able to improve his english skills and to spend time at the waterfalls. Om Sou Ann is from the Putang Village. She enjoys cooking for tourists, looking after the Jungle Lodge and having the opportunity to practise her English. She hopes she will be able to afford to send her daughter to school to get an education and then she will have some good work choices in the future. By renting our forest area from many families in these two villages we provide an economically and ecologically sustainable source of income to the Bunong people. Two of the elephants we rent so that they can spend time in our sanctuary are from Putang Village and Oriang Village. The Mondulkiri Project also delivers rice and other food ingredients to these two villages several times a year to help them when needed. The Mondulkiri Project has agreed to rent a large area of forest from several Bunong families in the Putang and Oriang Villages. For at least 30 years there will NO LOGGING in this area. Instead this area will be used as an elephant and wildlife sanctuary. Since this agreement was made, several large companies have tried to turn this area into rubber plantations. Fortunately our agreement with the Mondulkiri Governor has saved this important catchment area from widespread logging. The protected forest also provides several non-timber forest products for the local indigenous people. These include resin, wild honey and forest herbs and medicine. We are protecting many large Resin trees in our elephant sanctuary. Resin is one of the most important natural forest products collected by the indigenous Bunong in the forests around Mondulkiri. Tapping resin involves cutting a backward sloping hole in large trees, burning the hole briefly to stimulate resin flow, and collecting the resin in plastic containers after a few days. Trees can continue to yield resin for several decades. Tapping does not damage the trees. The “typical” resin tree yields about 30-35 litres of resin annually. The local Bunong sell the resin that they collect from the forest. It is used as a raw material in the manufacturing of varnish, cheap soap, leather making, sealing wax for keeping boats waterproof and in torches for lighting houses in the village. Honey is one of the important forest based livelihoods that communities living in and around the protected areas of Mondulkiri are dependent upon. Harvesting wild honey is a dangerous task with people climbing 20 metres up trees. When they arrive at a bee hive they smoke the bees away and risk getting stung. They can sell wild honey for around $20 a litres. April is the best time to find wild honey. The local Bunong have always harvested plants and herbs from the forest. They use these for themselves and also sell them to make money to buy rice. One example is Galingal which is used to make tiger balm and for cooking. Ferns are used in soups. There is a special plant to treat skin fungus. The river that flows through the sanctuary is also used for fishing.